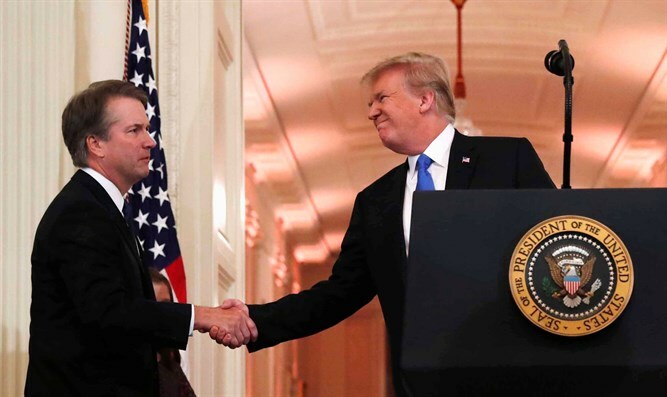 Coalition for Jewish Values praises President Trump's nominee to succeed Justice Kennedy on the Supreme Court. The Coalition for Jewish Values (CJV), representing more than 1,000 American rabbis, today endorsed the nomination of D.C. Circuit Judge Brett Kavanaugh to serve on the United States Supreme Court. Rabbi Dov Fischer, CJV Western Regional Vice President and an adjunct professor of law at two major law schools, observed that “the American Jewish community can only benefit from the presence of public role models who honor and respect family, protect and defend religious liberties, and adhere to the law as written rather than superimposing their own preferences onto the legal system.” Rabbi Fischer previously clerked for the Hon. Danny J. Boggs in the United States Court of Appeals for the Sixth Circuit. Rabbi Steven Pruzansky, Eastern Regional Vice President of the CJV, took particular aim at Jewish organizations that rushed to issue condemnations even before Judge Kavanaugh had finished his acceptance speech. “Judge Kavanaugh is in the mainstream of American jurisprudence, and the reprehensible campaign to distort his record, and even to vilify him for partisan political purposes, is a disgraceful breach of our values," he said.